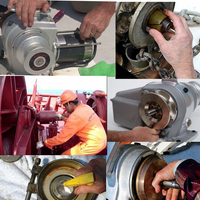 How to make sure mooring winch and anchor windlass works perfectly? There are 8 tips introduced in this article. 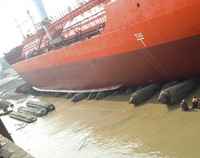 Marine Fender, also called ship fender, is an elastic cushioning equipment widely used at Ship's or Boat's edge/shipside and at wharf/pier/dock/hoverport/jetty/pontoon, it is mainly used to reduce the impact force between ships and docks while docking or mooring. In other words, marine fenders can be simply termed as '' Marine Bumpers ''. 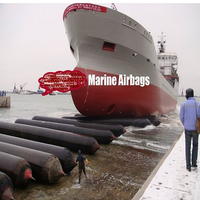 Marine airbag is one of the famous invention for marine industry . 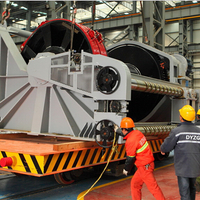 In the early 1980s,It is an extremely promising new process which overcomes the limitations of traditional craft such as skateboarding and sliding way.The application of marine airbag with Less investment, quick results, safe and reliable characteristics and widely use in this industry .The vessels move on the flexible rolling aribags can avoid the damage of the hull structure and the coating surface .So the ship owners and shipyards are satisfied with them .